With a trained dolphin worth as much as $155,000 USD, it’s feasible that additional species of dolphins have been added to fill orders, especially if bottlenose stocks have been depleted. 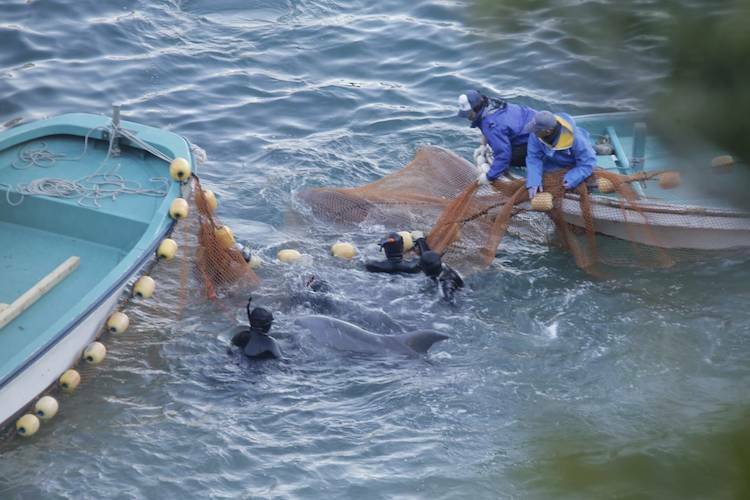 "Outrageous and unnecessary, Taiji’s war on dolphins has just escalated." Taiji’s notorious drive fisheries, scheduled to commence on or around September 1, will now include two additional species for either capture or slaughter. Rough-toothed dolphins and melon-headed whales – both pelagic, or deep water species – will be added to the 2017/18 catch quota, as set by the Japanese Fisheries Agency. Dolphin Project Cove Monitors will once again, be on the ground in Taiji for the entire six-month dolphin hunting season to document and disseminate information on the hunts. Planning is currently underway for our 2017/18 campaign.